Five guys thought winning a making-of-the-band reality TV show would be the pinnacle of their career…until their band scored a sell-out stadium tour and became the hottest group in the country. Trying to keep their personal lives out of the tabloids while they maneuver media near-disasters and dodge rabid fans leaves little time for romance—not that their manager would allow it anyway. But maybe, if their luck holds out, a summer on the road might lead each guy to that one girl he’s been waiting his whole life to sing for…if fame doesn’t get in the way. Join The Heartthrob, The Bad Boy, The Big Brother, The Shy Boy, and The Cute One as they hit the road in search of their one true love. Could it be you? As a kid, Aimee Bingham had a huge thing for Miles…until he made fun of her for always tagging along. Now that she’s outgrown both him and her pigtails. the prospect of spending two weeks on tour with the childhood crush who broke her heart isn’t exactly enticing. Except now Miles seems interested. Very interested. And no matter how hard Aimee tries to resist him, her crush is definitely making a comeback. **This Entangled Teen Crush book contains references to drug use, drinking, some sexual content, and lots and lots of kissing. Its swoonworthy hero may ruin all others for you. Add to your Goodreads HERE. 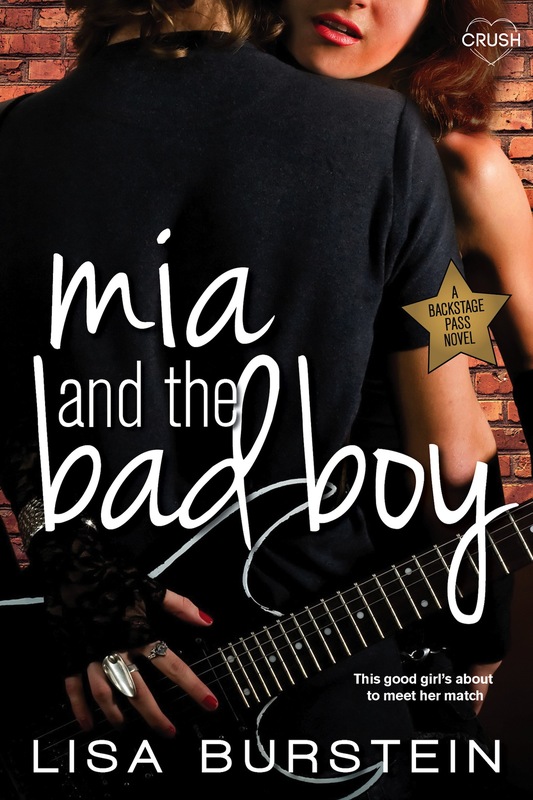 Ryder Brooks is living the dream—he’s famous, loved by millions of girls, and miserable. All he really wants is to write his own music, not Seconds to Juliet’s sugary sweet pop. In order to do that, though, the “bad boy” of the band will have to play by the rules. And that includes behaving with his new—and super cute—über-good-girl tutor. But sometimes even the baddest of bad boys needs a little redemption. Stay tuned for more info on the next three Backstage Pass books! Who loves winning books? ME TOO!